In multicriteria decision aiding, preference disaggregation analysis involves the inference of preferential information from holistic judgments that the decision maker provides. 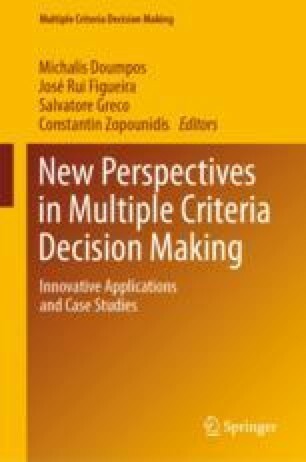 This area of research has attracted strong interest and various methodologies have been proposed over the past three decades for different types of decision problems and multicriteria models. This chapter overviews the developments and perspective in this field, covering established techniques as well as the state-of-the-art developments and future prospects. Fürnkranz, J., & Hüllermeier, E. (2011). Preference learning. Berlin, Heidelberg: Springer. https://doi.org/10.1007/978-3-642-14125-6.